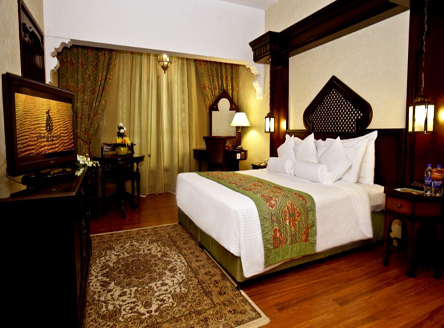 Located in the historic heart of Dubai, the Arabian Courtyard Dubai is a good standard 4-star hotel. 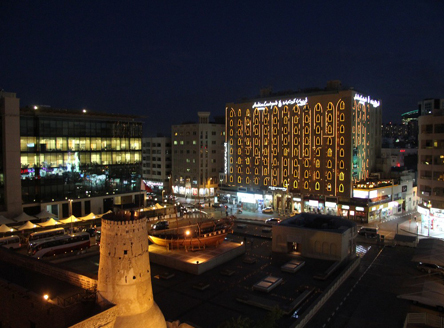 It is in an excellent location for exploring such attractions as the Dubai Creek, Dubai Museum and Ruler's Court, as well as the Souk Al Kabir (Meena Bazaar). 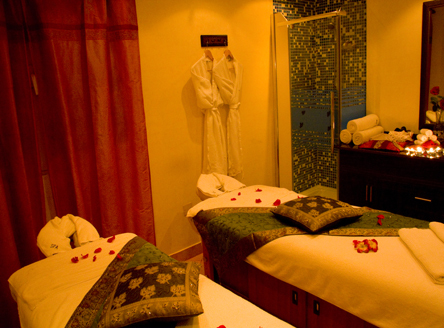 The Arabian Courtyard Hotel & Spa offers comfortable rooms in an Arabian style. Standard Rooms mostly have king-size beds, although some twins are available. Family Rooms sleep 2 adults & up to 2 children and there are also some inter-connecting rooms available too. 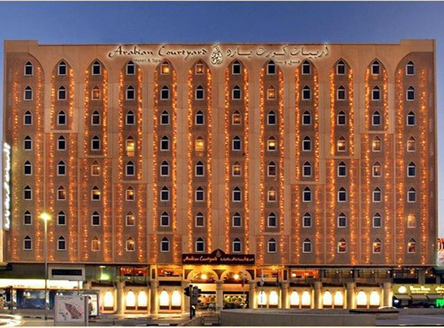 The Arabian Courtyard Hotel is one of our great choice of Dubai stopover hotels. 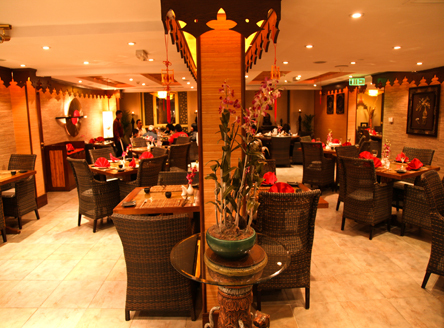 As well as its central location, the hotel's other excellent selling point is its choice of four restaurants that cater for all tastes. 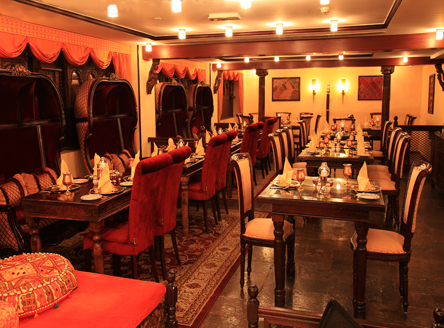 This includes the main restaurant Bastakiya - a traditional themed restaurant overlooking the museum courtyard and open for breakfast, lunch & dinner; Mumtaz Mahal for mouth-watering Indian cuisine; Silk Route for Chinese & Thai specialities; as well as Sarpino's Pizzeria which is open for lunch and dinner. The hotel also has the 'Sherlock Holmes' pub which, as the names suggests, is designed as a typical British pub! 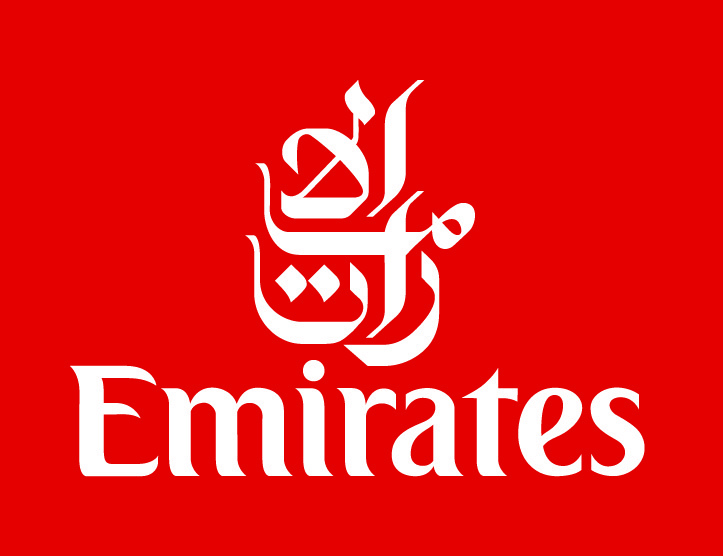 15 minutes from Dubai International Airport. 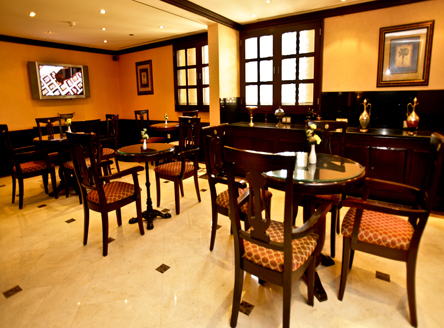 173 air-conditioned rooms and suites, with bath and/or shower, hairdryer, Satellite TV, complimentary wifi internet access & tea/coffee facilities. 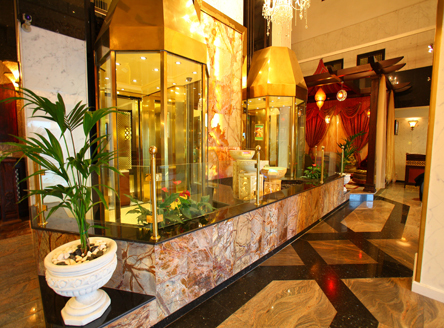 Inter-connecting rooms. 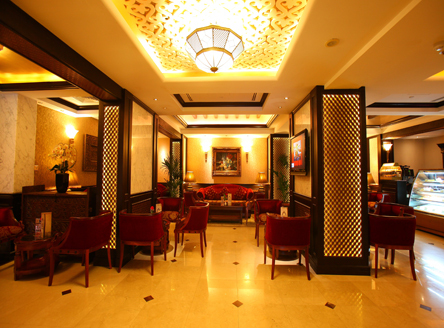 Executive floor features a dedicated lounge serving breakfast and daily cocktails, all day tea/coffee and soft drinks. Executive rooms also have an in-room safe. Any price examples shown include return flights from London and transfers. Offers subject to availability & other terms & conditions. Please call for details. 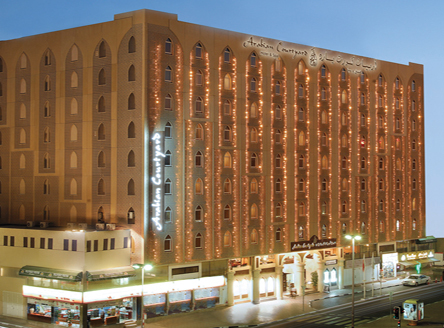 A good 4-star hotel centrally located right in the heart of old Dubai, so perfect for those wishing to see the more 'historical' sights of this bustling city. 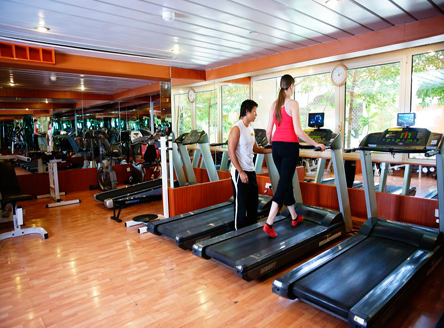 “Very convenient for guests who wish to spend their time ambling through the souks and also handy for Dubai Creek and the range of excursions from there. 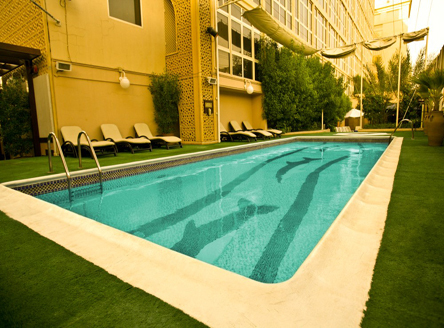 Excellent choice of catering facilities is a real plus, and the small pool is a bonus - handy for cooling off and relaxing after a morning's sightseeing."